My partner, Matt Manfredi, and I are writers and producers. We have made nine movies of radically different scales over the years, including Crazy/Beautiful, Clash of the Titans, Ride Along and Ride Along 2. 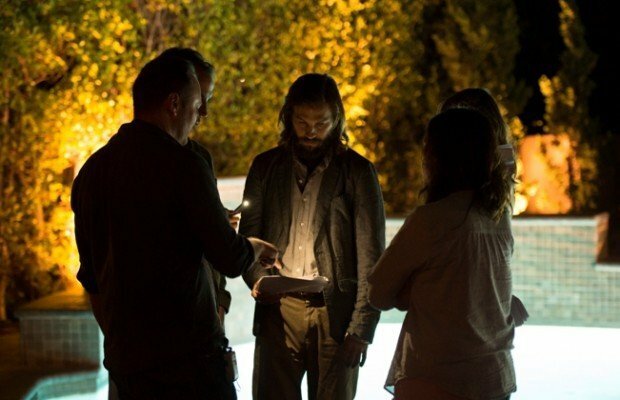 Because the smallest (and closest to our hearts) of them, The Invitation, comes out in theaters and on VOD today, I’ve been asked for a few lessons learned both from making movies nearly as large and small in budget as humans can make. The first thing I realized when sitting down to write this is how much in common all my experiences have had; they are more similar than different. As writers, you are always trying to tell the story, trying to merge with the director’s vision, trying to give the actors everything they need to succeed, and trying to be indispensable to the team. We’ve loved and learned from all of the directors we’ve worked with. 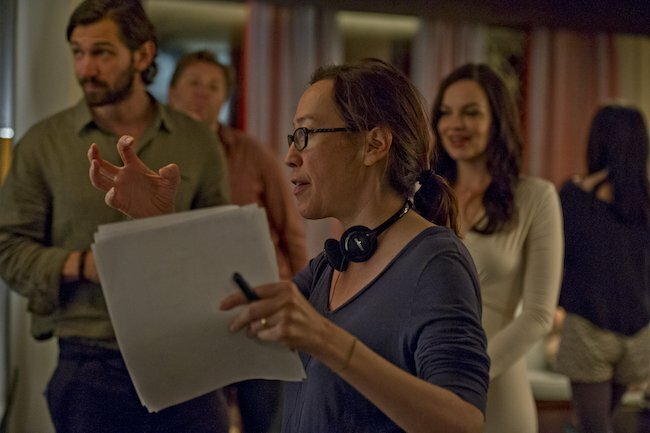 In the case of The Invitation, Matt and I got to work with Karyn Kusama, who is also my wife. At their best, all movies are family affairs; none more so than indies, where everyone needs to make significant sacrifices to make it happen in the first place. 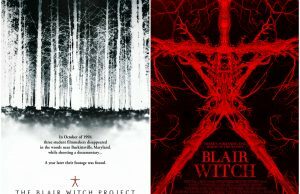 Here are a few things making another independent film clarified for me. Watching movies like Pi, Run Lola Run and Memento were really formative for me. It was eye-opening and invigorating to encounter movies that were made on a small scale, but embodied big, fascinating stories and approaches. What can earn a movie its “movieness” and feeling of scale can be traditional spectacle and set pieces, but it can also be a big idea storytelling approach—and big ideas (and their expression in a film) don’t have to be expensive. Part of the reason I love science fiction and horror so much is because that’s where the big ideas are—where the values that make a movie feel like a movie can come from story, surprise, a sense of play, or a dialogue with big concepts and big fears. On the studio movies we’ve written, we’ve been lucky to often be included in rehearsal period, the 10 to two days before shooting starts. Everybody does it differently; sometimes rehearsals are table-reading the scenes again and again, sometimes it’s long conversations about the characters separate from the scenes, and sometimes it’s putting scenes on their feet with some degree of blocking. It’s invaluable. It’s also something that can be hard to get on an independent project, when time and resources are extremely limited. If there’s any advice I can give to people making a lower-budget film, it’s to find a way to carve out official rehearsal days in the schedule. For The Invitation, we squeezed in two days in which we were able to explore the house where the film takes place in great detail. For all of us, especially the actors, it gave a big-picture knowledge of the geometry of the space, and allowed us to lock in specific blocking and develop relationships through physical interactions. The pace was hectic but not nearly as hectic as it would have been trying to accomplish that during camera blocking on the day. Though it isn’t always valued equally, I’ve found it to be some of the most concentrated and productive creative time, and it’s worth fighting for. Another thing worth fighting for is final cut for your director. 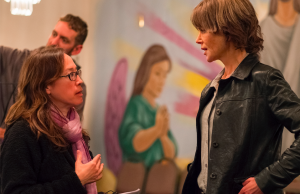 Final cut is, for many reasons, very hard for directors to get in the studio world. Because the scale in independent films is so radically different, and because so many of them start with the core creative team owning the material, final cut is possible to negotiate (though always has to be fought for). Karyn had final cut on The Invitation, and it was a huge creative boon. Negotiations over creative differences will always be part of a moviemaking experience, even in a situation like the one we had, with sympathetic and smart financiers and partners. Empowering the director this way, maybe surprisingly, makes collaboration freer. It creates a place of safety to deal from where ideas and challenges aren’t threatening or destabilizing, but possibilities. We grew up in the business with the understanding that whether you have $500,000 or $100 million, there’s never enough money to make the film you are trying to make. That’s kind of true—you are always pushing up against your limits. But with the right team, the compact schedule of an independent can be a good thing. Some movies have too much time in post; too much time to second-guess or wander away from the original values everybody fell in love with in the first place. There’s something to be said for finishing intensely, not languorously. However, a lot lower-budgeted movies rob from post to get budget to a greenlight-able level. Protecting the budget for post should be a huge priority. You don’t have a lot, and you have to jealously protect what you have. Though so much is the same, the nature of the experience of the movie entering the world is (or can be) very different between a major studio release and an indie made without a distributor in place. On the independent side the fear is existential: Will it be released? Will it just disappear? In almost all cases, if your studio movie is made, it is going to come out and at least some people will pay attention to it. When you have a studio movie come out, it’s a mind-blowing experience that you have little to no control over. It’s terrifyingly compact—you have tracking and a general vibe, but you really know nothing until opening weekend. And then it’s over, almost immediately. You have a verdict, yay or nay, and after a little while, everybody (both inside and outside the movie) moves on. If you are fortunate enough, as we were with The Invitation, to get over the existential threat, find a home for your film at the right festivals and the right distributor, you can live along with your film for a long time. It’s a slower (and quieter) but really satisfying boil. It feels very personal, and I feel an extreme gratitude to every audience we encounter that has been willing to show up for our film. The Invitation open in theaters and On Demand on April 8, 2016, courtesy of Drafthouse Films.